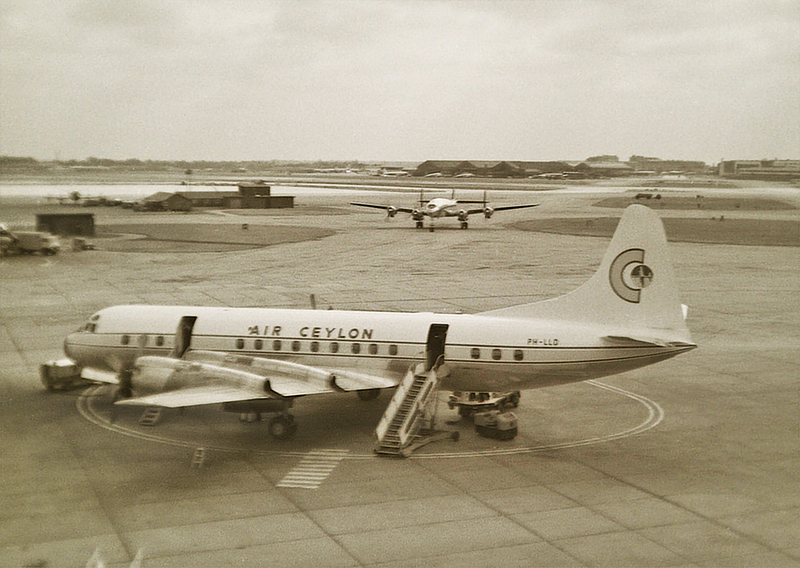 Some antique views from the Queen's Building. 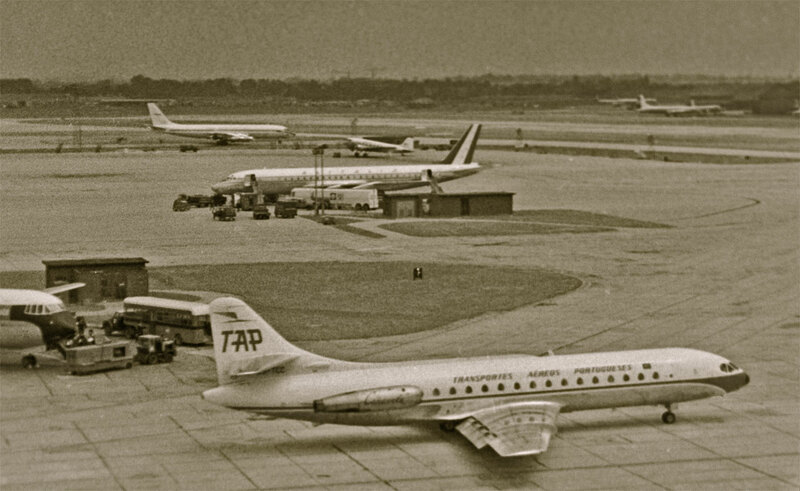 Go ahead - test your spotting skills! 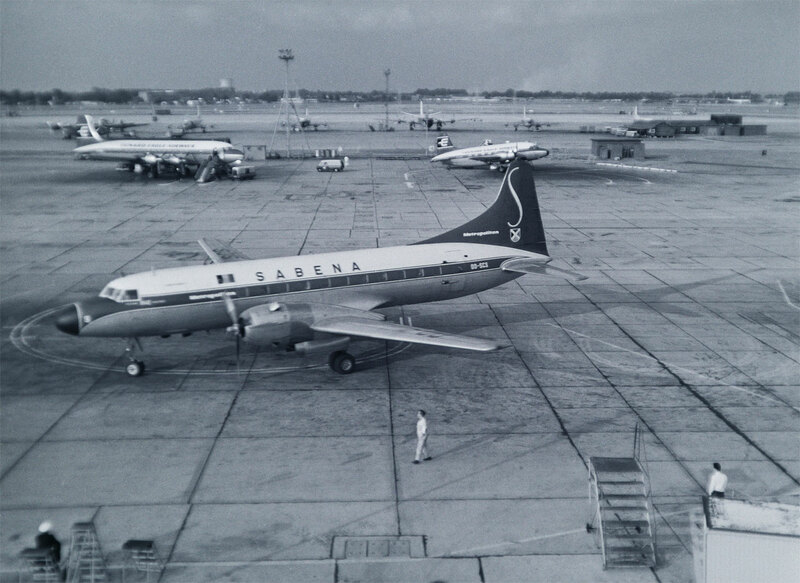 OO-SRC a fairly new Sud Aviation SE.210 Caravelle (66) of Sabena is shown passing a selection of BEAC aircraft. 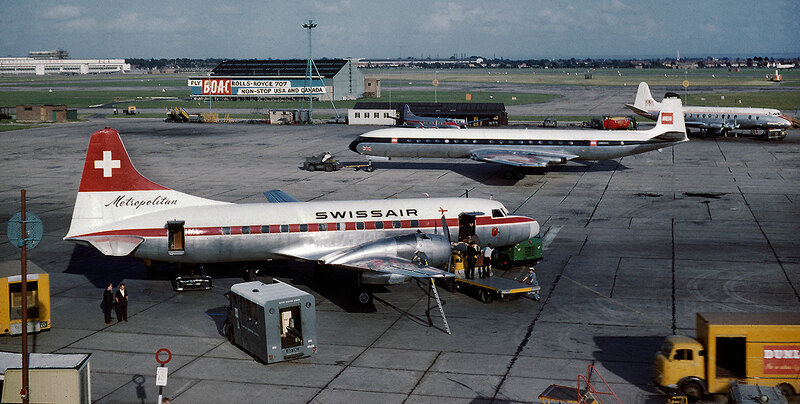 Vickers Viscount, de Havilland Comet 4B and Vickers Vanguard. 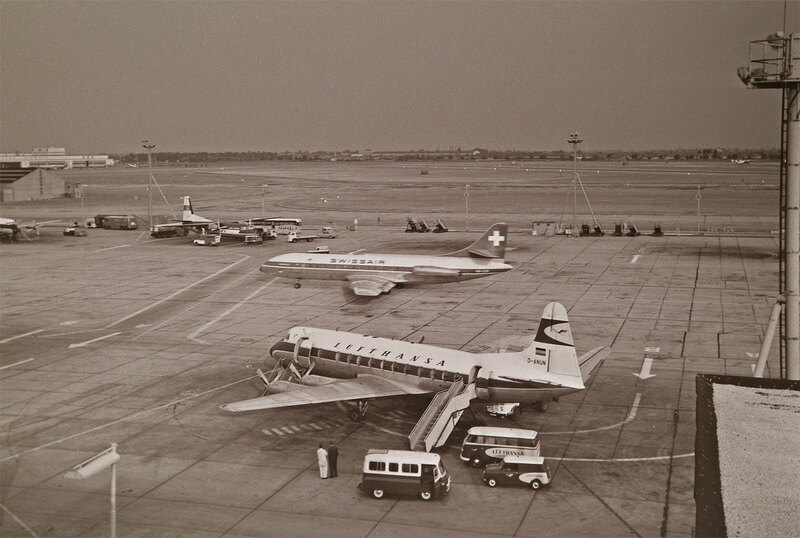 A distant Douglas DC-4 Skymaster completes the picture. 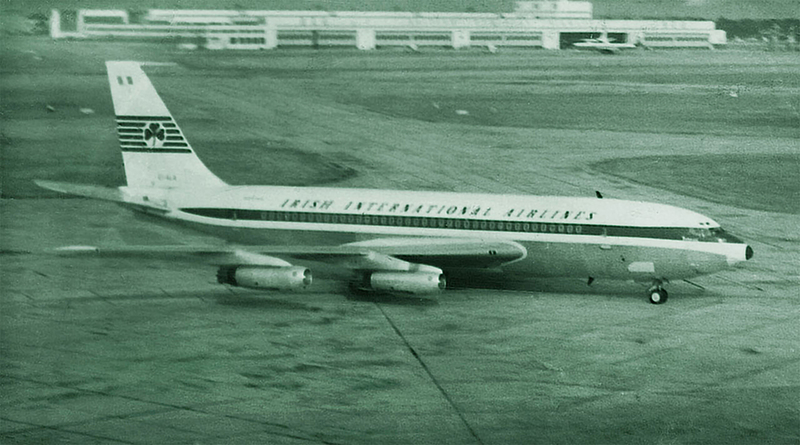 EI-ALA Boeing 720-048 (18041) "St Patrick" of Irish International arrives. 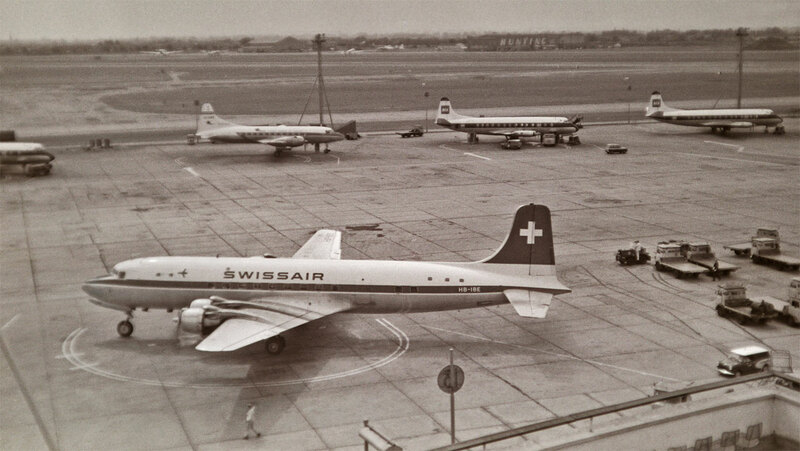 I later did a few flights on these machines. 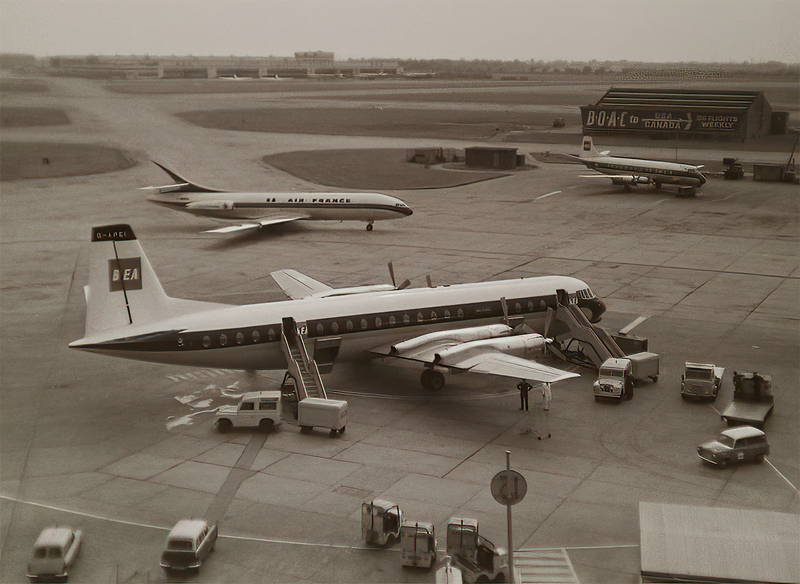 There was the opportunity to join the New York bound flight from Dublin, and ride the short sector to Shannon, for a very low price! 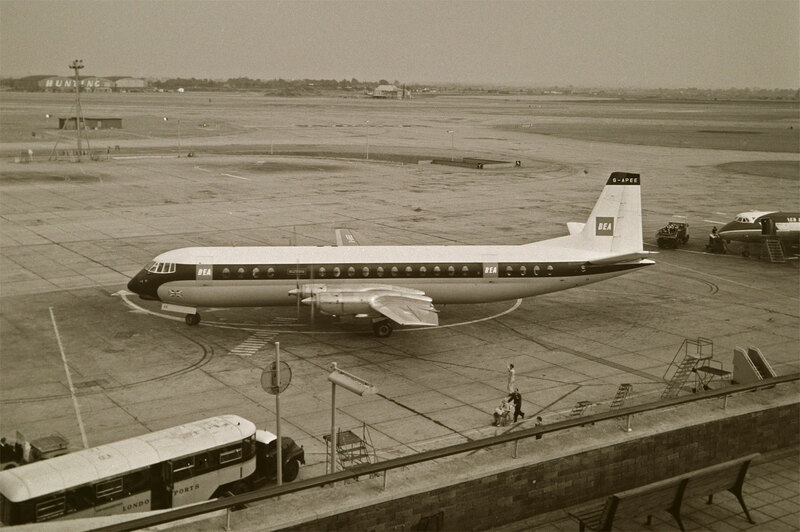 SP-LPA Convair 240-12 (153) of LOT. 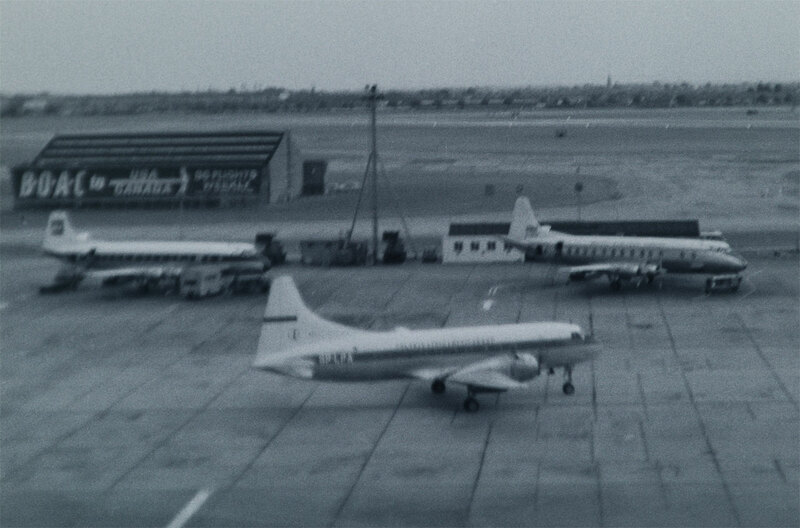 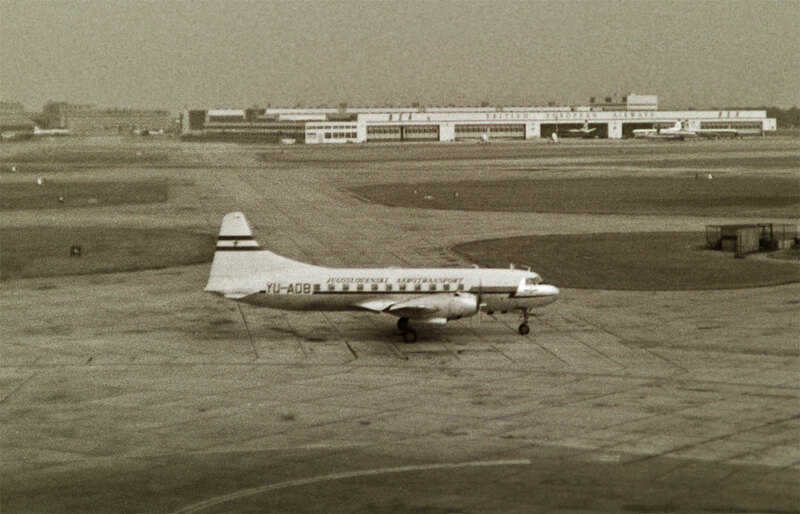 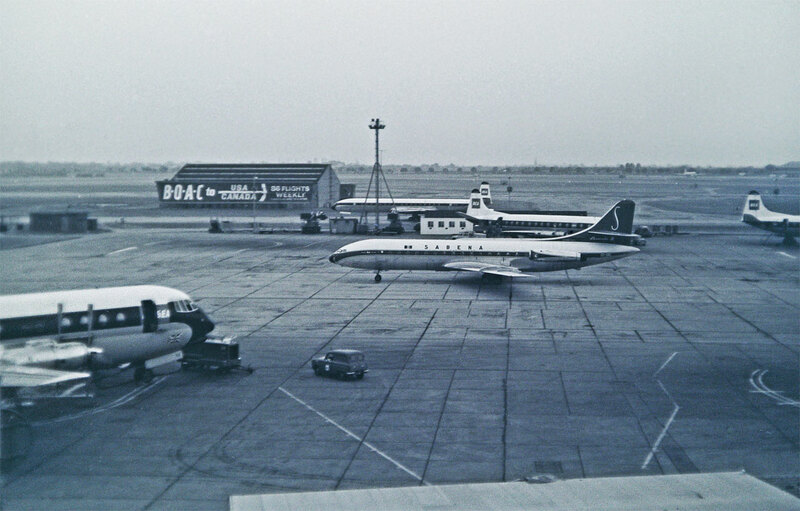 This rather fuzzy picture is included as it shows two Vickers Viscount of BEAC, one in old livery and one in the new.